What makes a great real estate agent? At Modern Spaces, we believe great agents prioritize their clients’ goals above all else. As your representative in the real estate process, your agent should be a member of your team, and not vice versa. 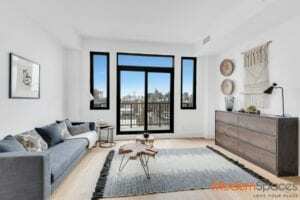 Our agents are dedicated to helping you find exactly what you’re looking for in your real estate hunt, whether you’re looking for a new Long Island City condo or an apartment in Astoria. Our local expertise and dedication to serving our clients set us apart from other firms. Meet Carlos Simoes, Licensed Real Estate Salesperson, who demonstrates his passion for client service each and every day. I became a real estate agent because of the flexibility and the motivation it gives me every day. My favorite part of the job is meeting new people every day and being able to help them find a new house while making the process as smooth as possible. I specialize in Long Island City, where I also live. While this area has changed a lot in the past five years, it still keeps the neighborhood feel that we cannot get anywhere else. Over time, we get to know our neighbors. And while it’s close to the city, it’s so much quieter than Manhattan. I can’t forget to mention the beautiful parks near the water. What makes Modern Spaces unique as a brokerage, as far as culture/service/approach to real estate? Modern Spaces reflects the core values that I look for; we build lasting relationships through effective communication and working with people from start to finish while maintaining a high level of professionalism. And we’re active in the community, participating in local events and fundraising. Modern Spaces and their brokers show that they are a company that cares about the neighborhood—and that’s important for me since it’s my neighborhood, too. Work with a motivated, experienced broker—preferably one that is local and knows the neighborhood—not just someone that just came here for the first time to show it to clients. It’s also important that a prospective renter or buyer be clear about what they want and communicate that to their broker, so they can help them the best way possible. 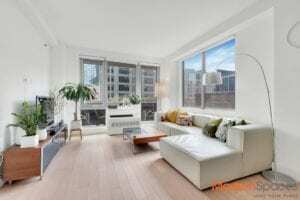 Visit Carlos’s page to see his listings in Long Island City!